Despite our sound advice, you took the herpes case from hell. The abrasive client has been banging down your door, calling you at three in the morning, and micro-managing the case. To make matters worse, he hasn't refreshed the retainer in months. At this point, you feel like the best option is to negotiate a quick exit strategy. The first question you need to ask should be obvious: can you? If you are on the eve of trial, or if your withdraw would prejudice your caustic client, the court might now allow you to drop the case. You might be stuck representing him, which is why client selection is so important in the first place. Even if you don't drop the case, it might be time to reassert yourself and take control -- the outcome of the case and a potential malpractice suit may depend on it. Okay, this isn’t so much a strategy to drop the case. It’s more of a support and advice group. If you are a solo attorney, you need to have a group of fellow attorneys or a mentor to bounce ideas off of and from which to glean advice when facing unfamiliar territory. Go to that group. Ask your fellow attorneys for strategies that have worked for them. Vent about the client. Plan your exit or client management strategy with their advice and input. Perhaps you feel that discussing your client’s past-due balance is impolite. Or perhaps you feel bad because your client is struggling financially. The bottom line is, your firm is a business. You aren’t expected to work for free, unless, of course, you’ve already agreed to take the case pro bono. Discuss the past-due balance frankly with your client, including payment options, as well as less expensive alternatives, such as a cheaper attorney, legal aid, or having them handle the case pro se. This may also be a quick way to end the representation. 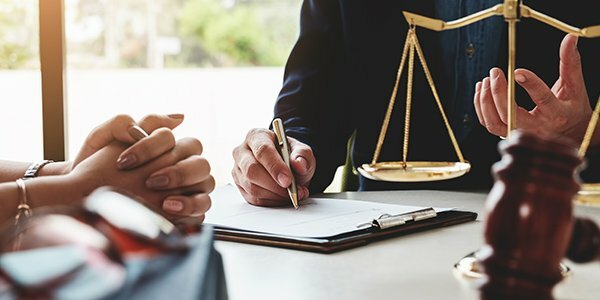 If there is discord in the attorney-client relationship, reminding them of the balance due, and the bills to come, will force them to make the decision on whether to continue with you as client. They might just initiate the break-up for you. You are the lawyer. You have the education, experience, and expertise. So why is your client micro-managing, wasting your time, and destroying his or her own case? If your client has been running the case, and running you, it’s time to reassert yourself in your role and remind your client that you are the lawyer. It is your duty to handle the case to the best of your ability and it will be you who is sued for malpractice if you fail. “My client told me to” is not an excuse for subpar performance.